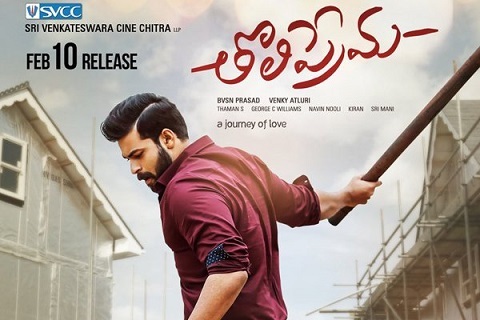 Tholi Prema film takes off not so impressively. After 10 minutes into the movie, one gets a feeling that we’re about to watch another routine film. But as lead pair Adi – Varsha start their friendship, the chemistry between them engages the audience. Varsha is a true replica of current generation girls, her characterization is adorable. Aditya, the high tempered young lad is very straight forward in his approach. After some routine college rag scenes, the best part of the film comes in. The Rakhee scene stands out, followed by romance in the car scene and two good songs interlaced. All in all first half scores good. The chemistry between the lead pair and songs, along with a fab production values makes Tholi Prema a decent one time watch. Predictable story and the title weigh the film down overall.